If you are a Windows PC user, and now you switch to Mac, or from Mac to PC. There must be some website bookmarks you want to transfer between PC and Mac. 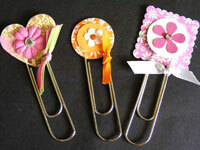 And this step by step guide will show you how to copy bookmarks from PC to Mac and from Mac to PC for free and safe. The program you need is Firefox. Firefox is a free and cross-platform Browser. It works on both windows system and mac. You can download firefox from here for free. Launch Firefox browser and click the “Bookmarks” menu, and then click the “Show All Bookmarks” menu. Click the Import and Backup button in the popup dialog, and then select “Export HTML”. Save the html file to your Mac hard drive, and then you can email the HTML file to your windows computer or use an external drive to copy the HTML file to your PC. Now go to your windows PC. Run Firefox and select the “Bookmarks” — “Show All Bookmarks” menu like you did on the Mac. 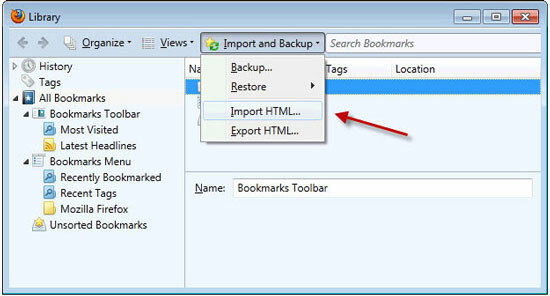 Click the “Import and Backup” button and then select the “Import Bookmarks from HTML”. Browse to the HTML file you transfer to your PC, and click “Open” to import the bookmarks. Firefox will automatically load the bookmarks. That’s all. It couldn’t be easier to transfer bookmarks like that. Transfer bookmark from PC to Mac is exactly the same as above, so I’m not repeat it here. Enjoy my guide. If you want to transfer files like songs, videos, movies or data. You can follow this guide to transfer files between Mac and PC through local network. How to use iTunes App Store without Credit Card?